Polytetrafluoroethylene (PTFE) is used in a variety of industrial products including gaskets, bearings and parts for valves and pumps. To BS 3784. 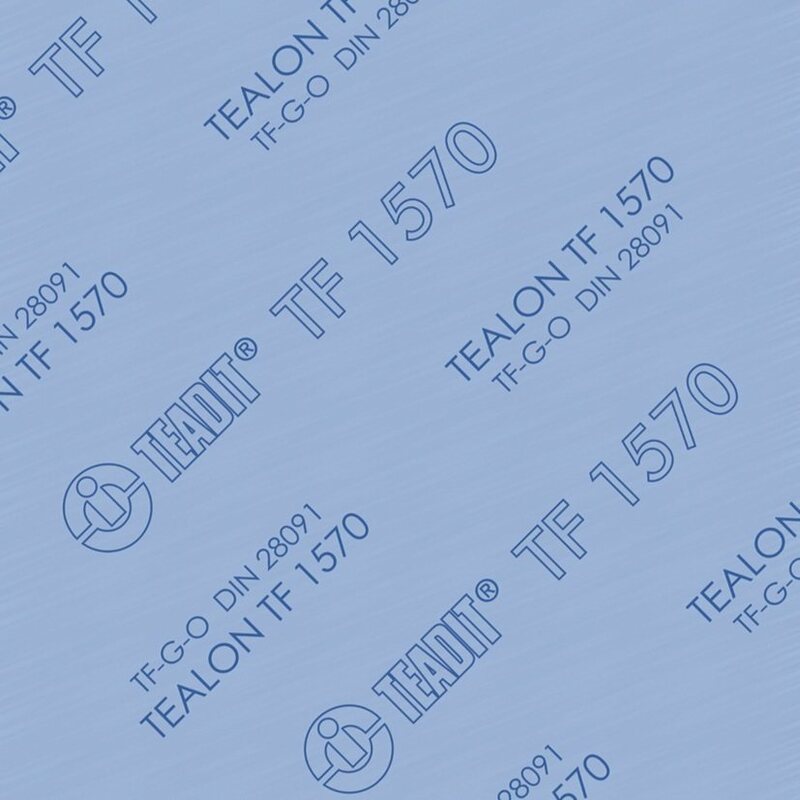 Available in thicknesses from 0.5mm to 50mm and in sheet sizes from 600mm x 600mm to 1500mm x 1500mm. 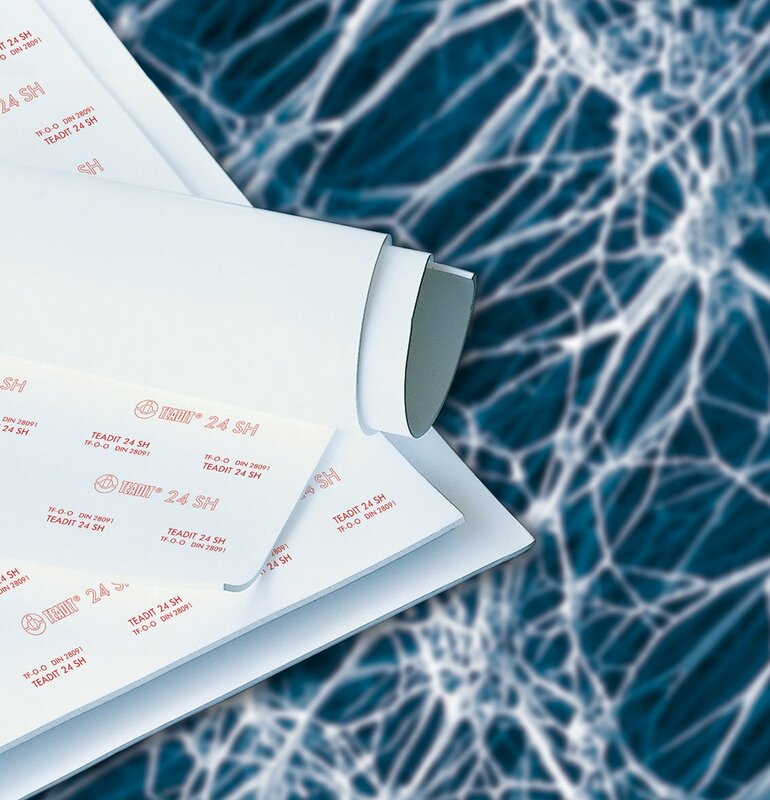 Chemically or mechanically etched sheet and strip is available where bonding to other components or structures is required. Thinner gauge sheeting is also available. Filled PTFE grades are used where specific physical or electrical properties are required. 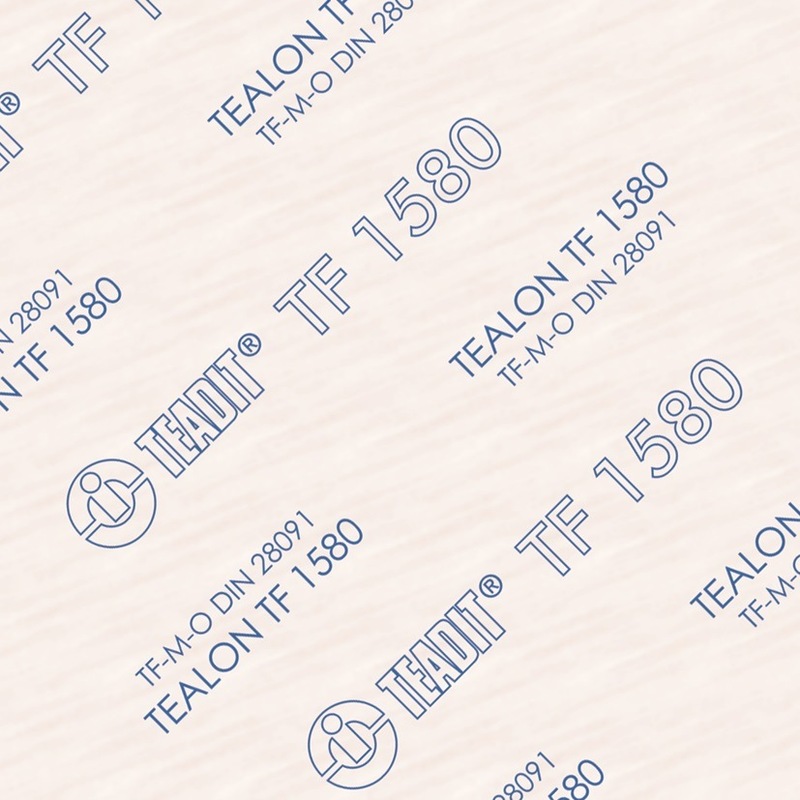 The below mentioned TEADIT® products are suitable for use as a material or article for direct contact with food and API and thus in the application in the pharmaceutical plant they are corresponding with the following regulations and only consist of materials which are listed in the above-mentioned EU positive list and FDA whitelist. When used under the intended conditions all migration values are below the indicated limits. Corresponding certificates and test reports of external testing institutes are present, All the TEADIT® products do not contain animal derived ingredients.